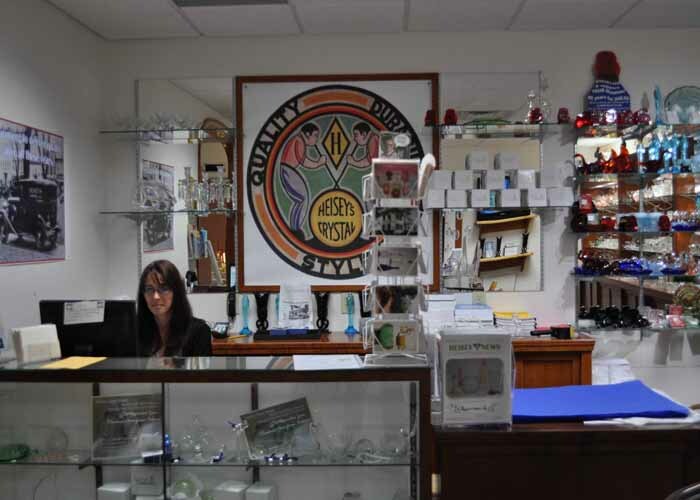 The National Heisey Glass Museum Shop offers some of the most unique shopping in the Newark area. Whether you need a special gift for the holidays, a wedding, a birthday or just because, come see what we have to offer. 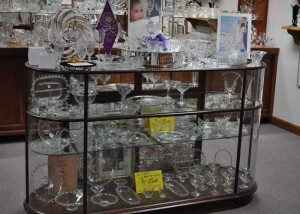 You will find real Heisey glassware, HCA reproduction items, plus a large assortment of glass reference books for sale. We also carry exclusive items developed specifically for the National Heisey Glass Museum such as our limited edition Christmas ornaments and our popular glass beads made from real Heisey glass. The inventory is constantly changing. The Museum Shop is open during regular Museum hours. The Museum Shop is conveniently located across from the Museum’s main entrance. Admission to the Museum is not required to shop at the Museum Shop. We accept checks, Visa, MasterCard, and Discover. Contact the Museum Shop directly at (740) 345-2932 to find out availability of items and/or to make a purchase. Members of the National Heisey Collectors of America, Inc. are entitled to a discount on all gift shop merchandise (discount does not apply to special project items). Proceeds from Museum Shop sales support the National Heisey Glass Museum’s operations.